There are many types of fractional ownership ‘time share’ and block hours schemes available, but in reality there are few, if any, advantages to fractional ownership over private jet charter. While it may seem that ownership, even partial ownership of a private aircraft affords unparalleled convenience, the reality is far different. 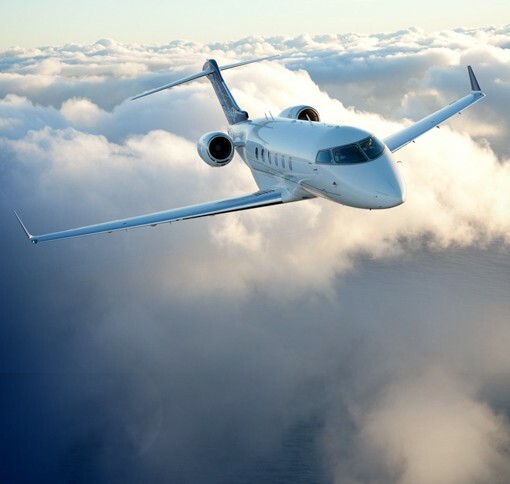 Whether the issue is a last minute booking, scheduling an intricate itinerary, or making certain that specific requirements are attended to, private air charter can generally meet or exceed the services offered by a fractional broker. For example, while many fractional companies offer an 8 hour booking to take-off guarantee, Freedom Air typically can provide an aircraft within 2 hours. With over 50,000 private aircraft in our worldwide network, you have unparalleled choice. While the hourly charge of flying your fractional aircraft may seem lower than private air charter, the true story is more complicated. Consider the fees the owner of a fractional must pay: in addition to the purchase of the share in the aircraft, there are also monthly maintenance and operating fees, along with insurance. And on top of all that, you will still pay an hourly fee for flight time. In contrast, when you book a flight through Freedom Air, all you are paying for is the flight. When you add up all of these costs, Freedom Air’s hourly rate may be one-half to one-third less than the typical fractional aircraft company’s total hourly rate for a similar class of aircraft. You should also be aware that the monthly operating expenses charged by fractional companies are generally much hight than their actual costs of maintaining and operating the aircraft. Also, when the fractional company sells the aircraft at the end of the term of your contract, you will only recoup a fraction of your original investment. With Freedom Air there are no hidden fees. You will be quoted the total cost of the flight – and that’s all there is to it! The concept that the fractional company’s aircraft are all brand new, so therefore must be safer, is a myth. Our entire network of aircraft are rigorously maintained according to CAA standards, and each is equipped with the latest avionics, including GPS and TCAS to ensure your safety. It is simplistic to believe that fractional ownership is equivalent to owning your own aircraft. It would be similar to owning a time-share apartment and believing you own the whole resort. The truth is, while you technically own a share in a particular aircraft, in effect you have a contract with the fractional company that allows you to use any equivalent aircraft in the company’s fleet for a specified number of hours each year. You will rarely, if ever, fly on the aircraft you partly own. And, unlike an aircraft you own, you have no say over who uses ‘your’ aircraft and how often it flies or how far it goes. All of those decisions are in the hands of the fractional company managing the program. Private jet charter is clearly the much more economical and convenient choice. There are many plans for selling blocks of air travel time, and more are invented every day. But rarely are there any advantages over ad-hoc private air charter. The problem with schemes like charter block membership is that, like fractional ownership, they require the prospective company to pay a great deal of money up front. The saving you will make by utilising traditional private air charter, as and when you need it, is substantial – and without any commitment at all. On a trip by trip basis. Generally offered as 25 hr Block to be used over a 12 month period (3 month notice period). Cost of an individial trip. Whole block to be paid up-front. Minimum US$ 375,000 Capital Investment or long-term lease arrangement. Fixed price for each charter. High hourly charge for hours flown (to cover empty legs). Capital sum or monthly lease figure. Monthly management fee. Hourly charge for hours flown. Chose any aircraft to suit each individual charter. Limited to aircraft in program. Commit to one type/size of aircraft (with option to change subject to financial adjustment). Potentially available within two hours notice. Minimum 10hrs notice. 48 hrs at contracted price or surcharges of 5-10% apply for shorter notice period. 6 – 10 hours depending on share purchased. Can guarantee same aircraft and crew if necessary. No guarantee of the same aircraft or crew. Look through our comprehensive aircraft guide, see what you could be flying on next!